The knee is a critical part of walking, running, jogging or taking part in other activities. The knee, a weight bearing joint, is also the largest joint in the body, and contains crucial ligaments, bursae, and tendons surrounding the knee joint that are all susceptible to injury. 1- Sudden injuries, often seen in athletes, can cause intense knee pain. 2- Knee pain often results from overuse injuries, seen in athletes or those who are doing intense physical activity on a regular basis, such as marathon runners. 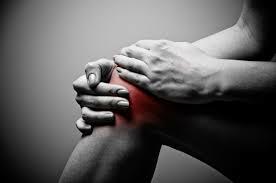 3- Arthritis and other underlying conditions can cause knee pain. 4- Getting older can mean dealing with knee pain and aches. 5- Standing for long periods or working on concrete or other hard surfaces can lead to knee pain problems over time. There are many different types of knee pain, so visit your doctor if you are experiencing intense knee pain, cannot fully bend your knee or need help walking. Knee pain treatment depends on where your knee pain is centralized, the type of knee pain you are experiencing (intense? acute?) and the severity of your knee injury. Other factors to consider: your age, the overall condition of your body, your health, and activity level. One sure fire way to reduce knee pain: RICE. A properly fitted, supportive shoe, combined with an accommodative shoe insert, can also help reduce knee pain, putting your feet in balance and, in turn, improving the alignment of the rest of your body. I hope that will help people with Knee pain.